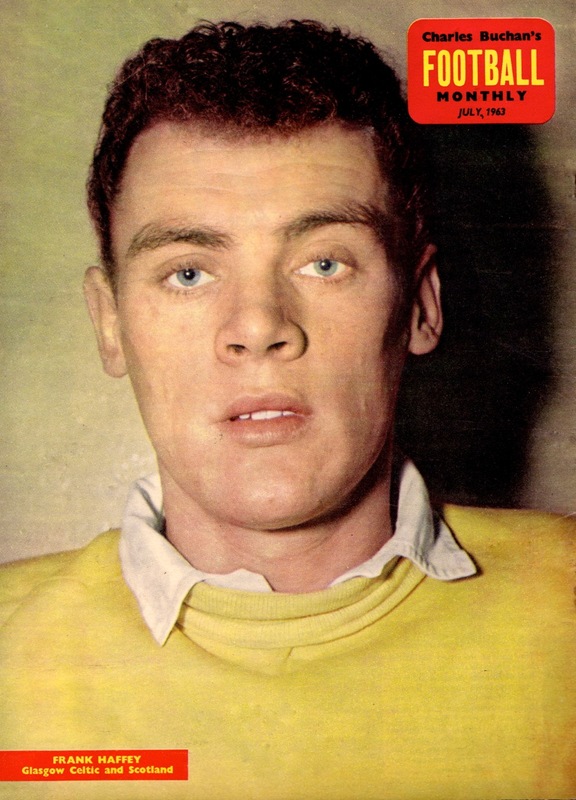 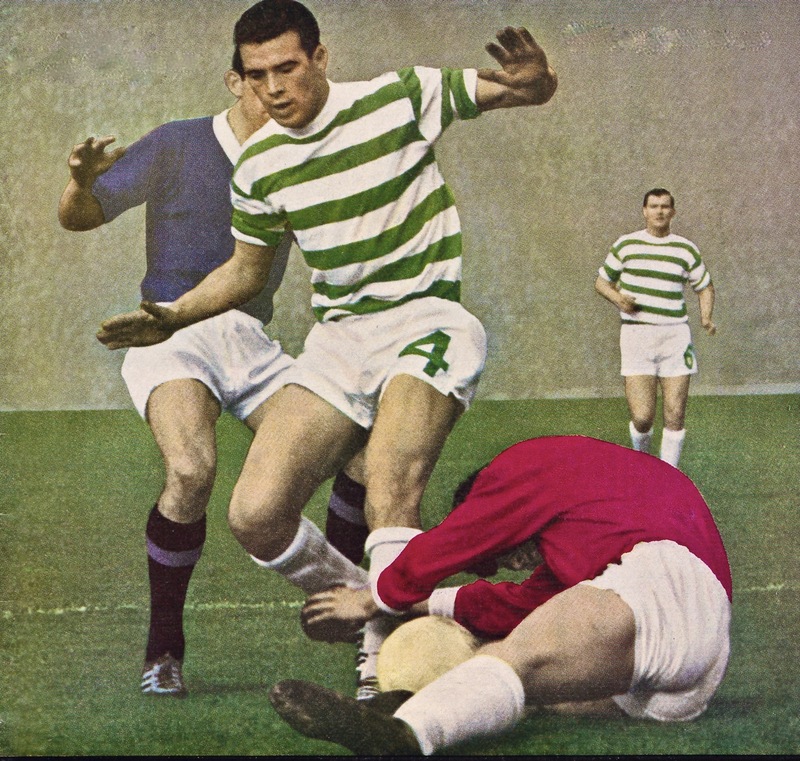 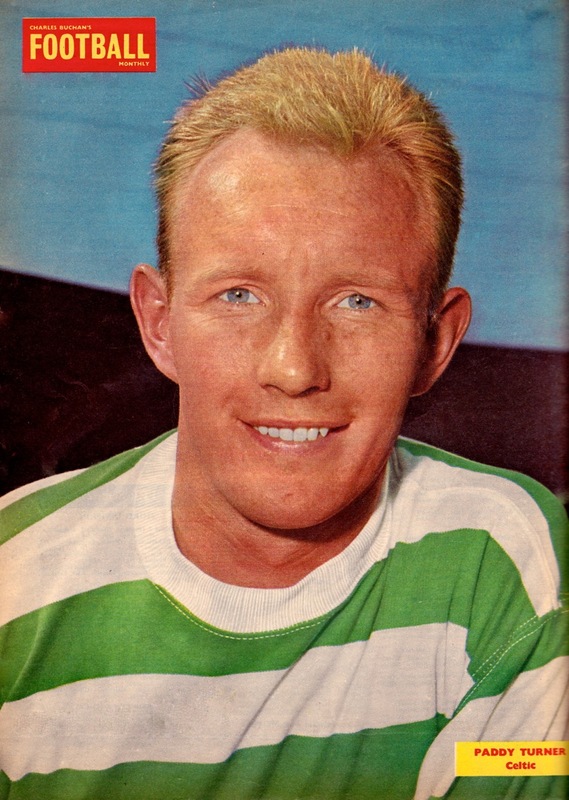 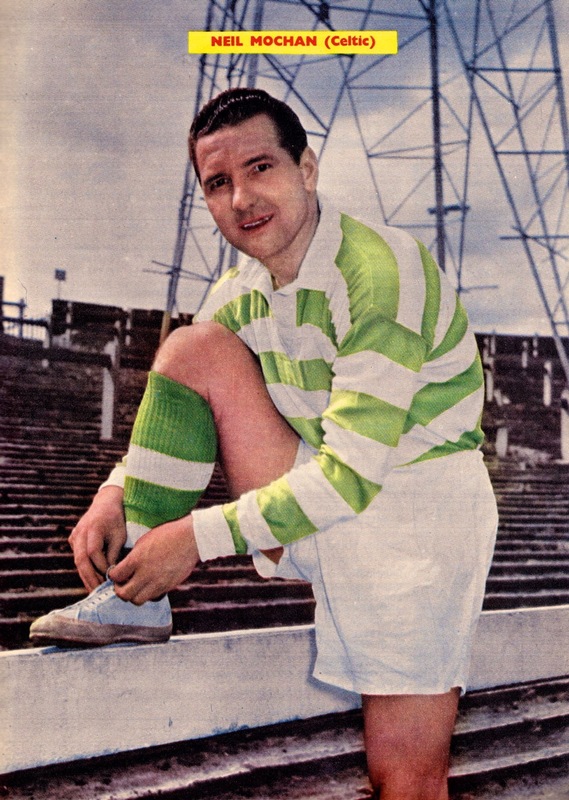 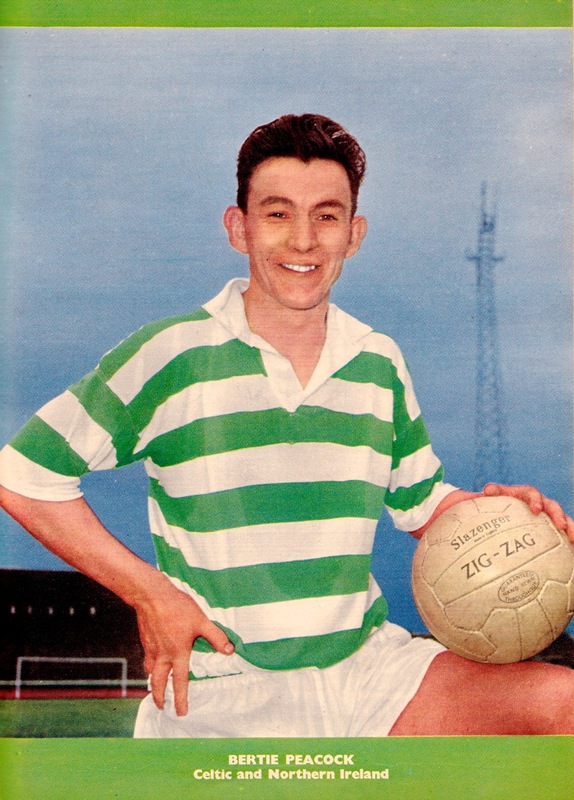 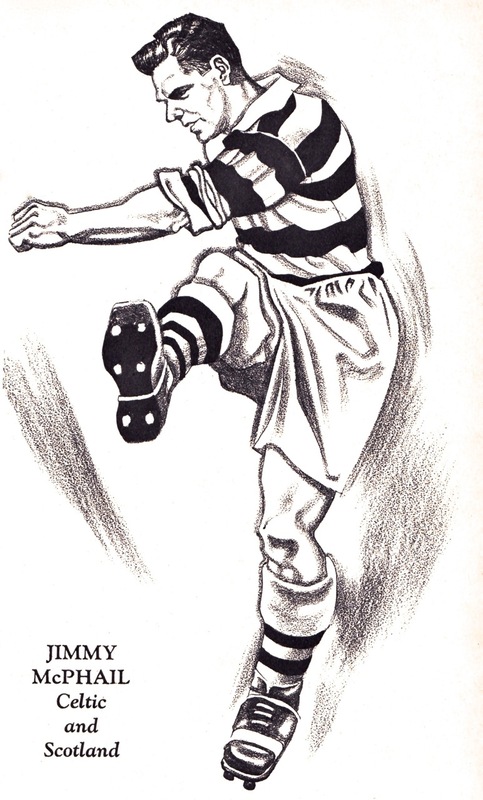 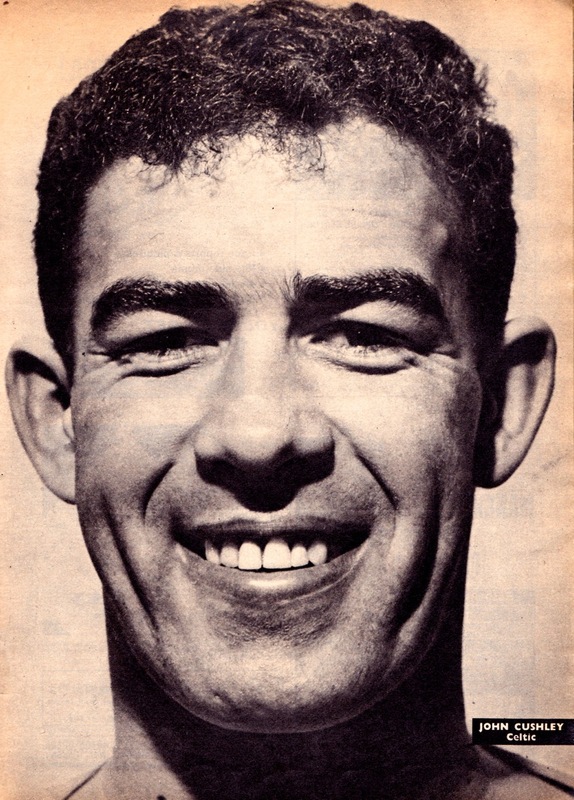 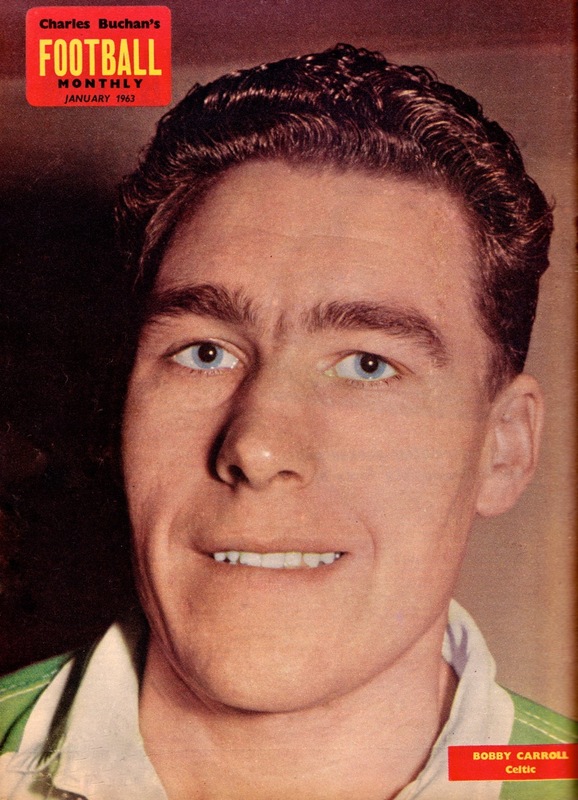 The first of four posts in our Celtic Vintage series spans the period from the early 1950s through to 1963. 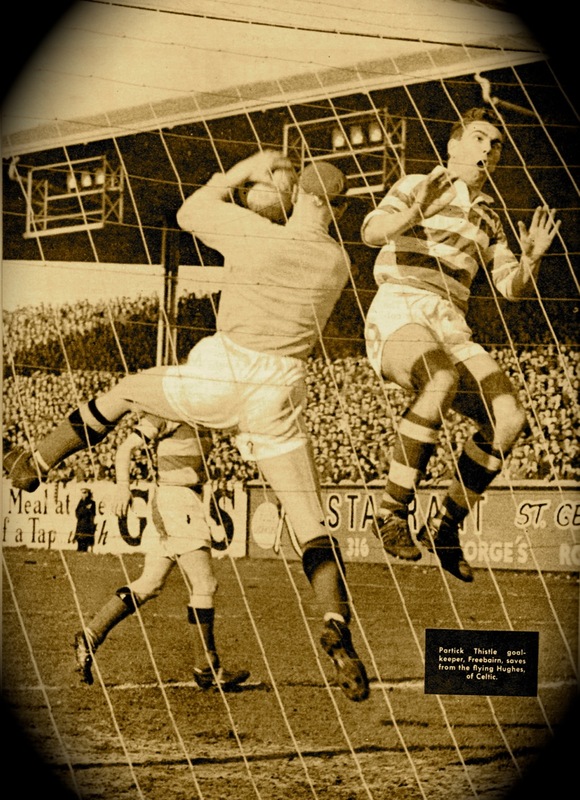 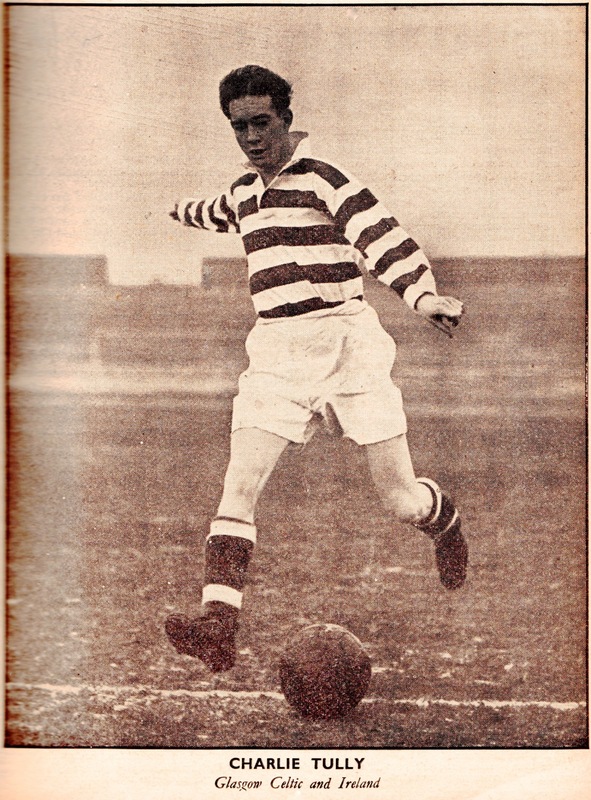 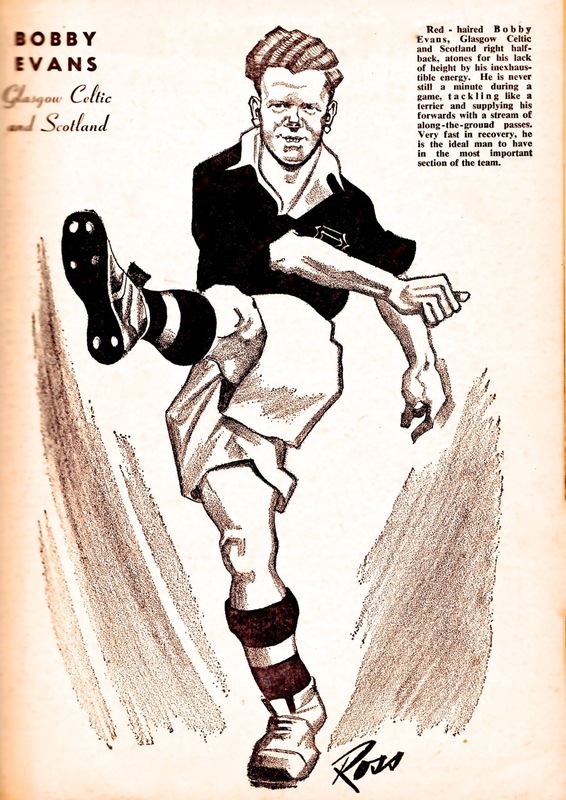 Those immediate post war years were among the worst in Celtic’s history and during the early 1950s their team even struggled to compete in the League with Glaswegian minnows Clyde and Partick Thistle, yet alone their traditional rivals across the city at Ibrox. 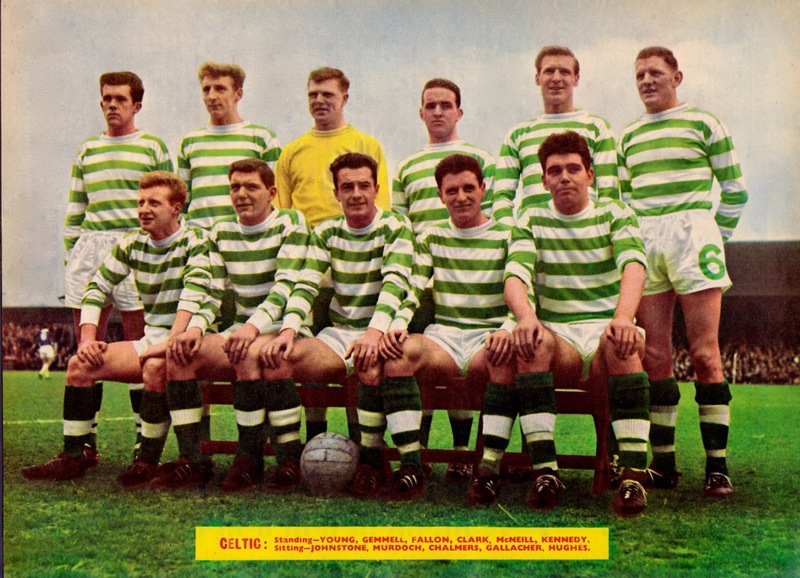 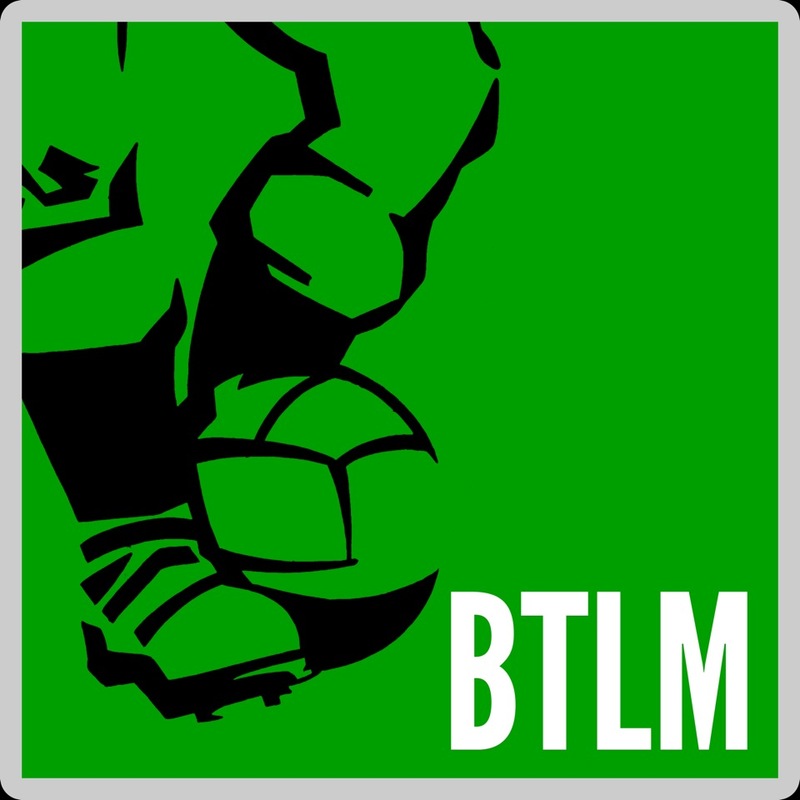 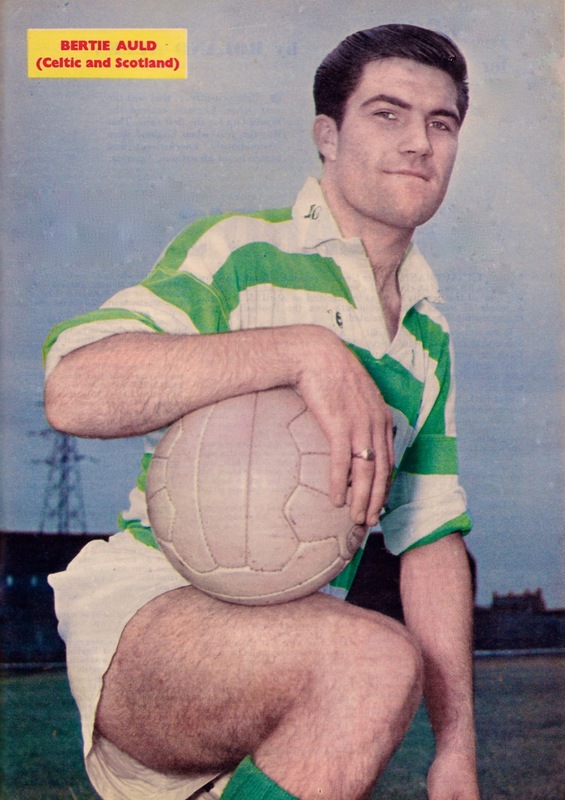 During this 13 year period Celtic won just a single title, two Scottish Cups and two League Cups: a respectable haul for most clubs but something of a trophy drought for a member of the Old Firm. 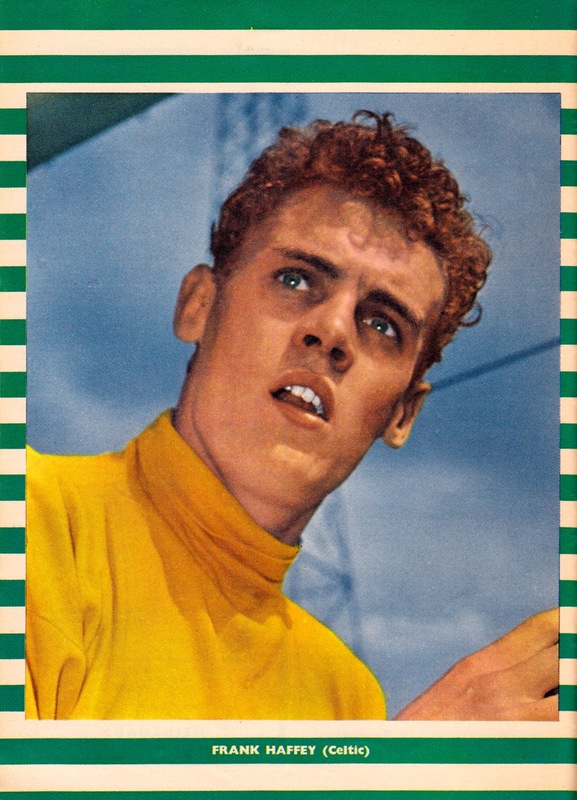 Look out for the shocked expression of goalkeeper Frank Haffey with memories of his awful performance in Scotland’s 9-3 defeat at Wembley evidently still seared into his memory.